Welcome to Jades Flower Design, specialists in beautiful bridal bouquets and luxury wedding flowers. At the initial consultation Beverley presents her portfolio of work and reviews any images that the couple may have sourced. 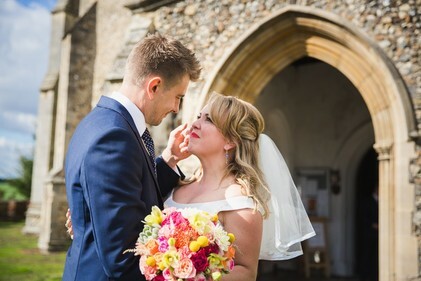 Many couples feel a little overwhelmed as to where to start when deciding on wedding flowers and Beverley's experience can really assist with this creative process. 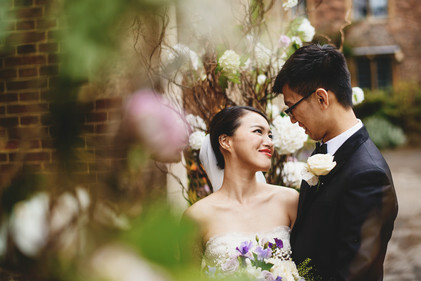 Under her guidance together they explore their personal vision, preferred style and colour scheme, alongside important details such at the style of the bride's dress, venue design etc. Using this information Beverley is able to design bespoke creations that meet the couple's expectations and also maximise the full beauty of the wedding venue. Beverley's design knowledge and experience ensures that her creations are always, current and inspirational. Collaborating so closely with couple's means that Beverley can also suggest meaningful, unique touches, such as using particular scents or flowers that evoke personal memories. It is also an opportunity to explore other floral accessories that may be required, such as cake decorations, floral wedding favours, chair backs or designs to adorn the table plan. 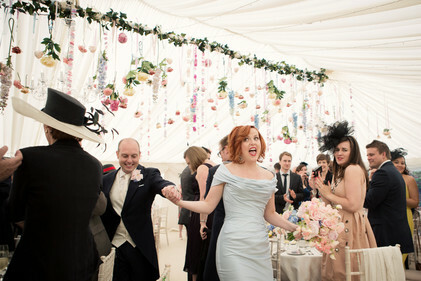 These are often overlooked but can ensure that all elements of the wedding are beautifully co-ordinated. After the initial consultation, a detailed written quote is sent to the couple, with photographs of all of the flowers that were suggested and designs that were discussed. 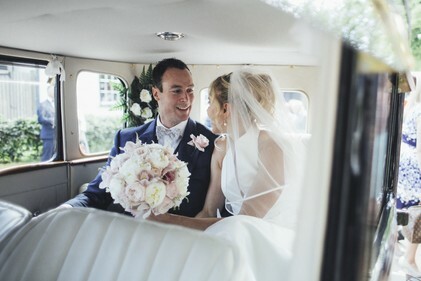 Throughout the months leading up to the wedding Beverley maintains regular communication with each couple, making sure they are informed and delighted with every stage of their wedding planning, with a meeting always booked 4 weeks before the wedding date to finalise all arrangements. We use many English suppliers such as David Austin Roses and trusted suppliers in Holland whom we have worked with for many years. We are huge supporters of English flowers and use local flowers wherever possible. During the consultation process Beverley will suggest appropriate flowers to use for the wedding, taking in colour, seasonal availability, scent etc into consideration. We can also provide samples of the flowers to be used if required. We have an extensive range of beautiful accessories for couples to choose from, such as stone urns, Blossom trees, Blossom arches, candelabras and vases to ensure that each wedding is styled to perfection. Our team regularly travels to Covent Garden Market and visits other major suppliers to source stunning new accessories to update our collection. Some of these items are also available to hire separately - please click here to view our hire catalogue. On the day of the wedding the team at Jades Flower Design will deliver and install the designs. The team completely appreciate the importance of each and every wedding and the emotion attached to the day. They are committed to ensuring that each wedding is perfect and will not leave a venue until they are satisfied that the result is unforgettable! The day after the wedding, the team will collect any vases, pedestals or accessories from the venue. All of the flowers are of course for the couple fo take home if they wish, or to give away if they can bear to part with them!